Monarch Air Group provides private air charter in Waco, TX. Our clients benefit from top-notch service, unrelenting dedication to safety, wide selection of aircraft, and years of experience in chartering private jets. To obtain a free quote, please use our online quoting tool provided below, or call toll free 1-877-281-3051. Monarch Air Group provides private jet charter flights in and out of Waco, Texas, USA. Waco is a commercial and industrial city in east central Texas. With a population of 124,805 people, Waco is the 22nd most populous city in the state. The total area of the city is 95.5 square miles. 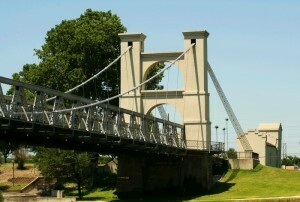 The most popular tourist attractions in Waco include Cameron Park, Armstrong Browning Library, Grand Lodge of Texas, Dr Pepper Museum, Lake Waco, Mayborn Museum Complex, Lee Lockwood Library & Museum, Texas Ranger Hall of Fame and Museum, Waco Suspension Bridge, Hawaiian Falls Waterpark, and much more. The city is served by Waco Regional Airport (ACT / KACT), which is located just 8 miles from the center of Waco. 4. GRK, Gray Aaf, Fort Hood, TX, United States. 5. HLR, Fort Hood AAF, Killeen, United States. 6. ILE, Municipal, Killeen, United States. 1. Clarion Inn Near Baylor University, 801 South 4th Street, Waco. 2. SpringHill Suites by Marriott Waco Woodway, 200 Colonnade Parkway, Woodway. 3. Clarion Inn Near Baylor University, 801 South 4th Street, Waco. 4. Hotel Waco, 1001 S Martin Luther King Jr. Blvd, Waco. 5. SpringHill Suites by Marriott Waco Woodway, 200 Colonnade Parkway, Woodway. 6. Clarion Inn Near Baylor University, 801 South 4th Street, Waco. 7. Hotel Waco, 1001 S Martin Luther King Jr. Blvd, Waco. 8. SpringHill Suites by Marriott Waco Woodway, 200 Colonnade Parkway, Woodway. 9. Clarion Inn Near Baylor University, 801 South 4th Street, Waco.